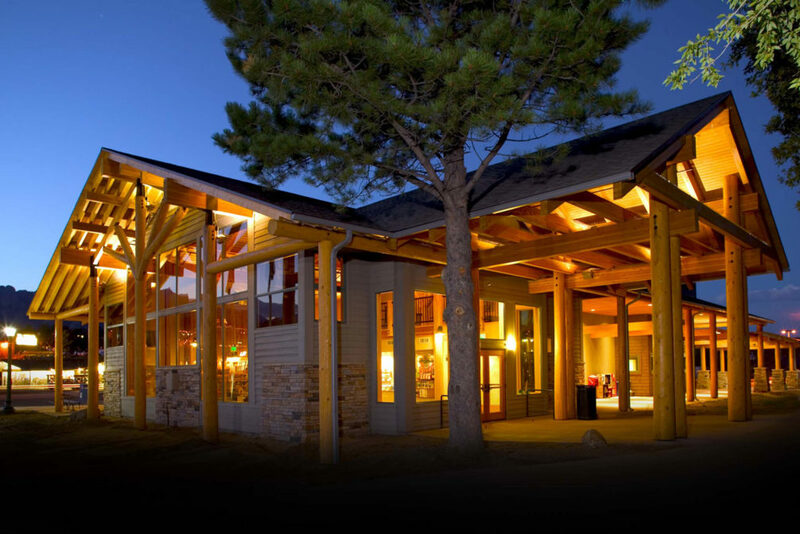 The Town of Estes Park engaged the firm to provide an assessment of the existing Center. The building was woefully inadequate in meeting the demands of the number of visitors to the area. Given the difficulty of remodeling, BAS1S recommended construction of a new facility. The new building houses the Information Center, twenty-four hour lobby and restrooms and the offices of the Convention and Visitors Bureau. 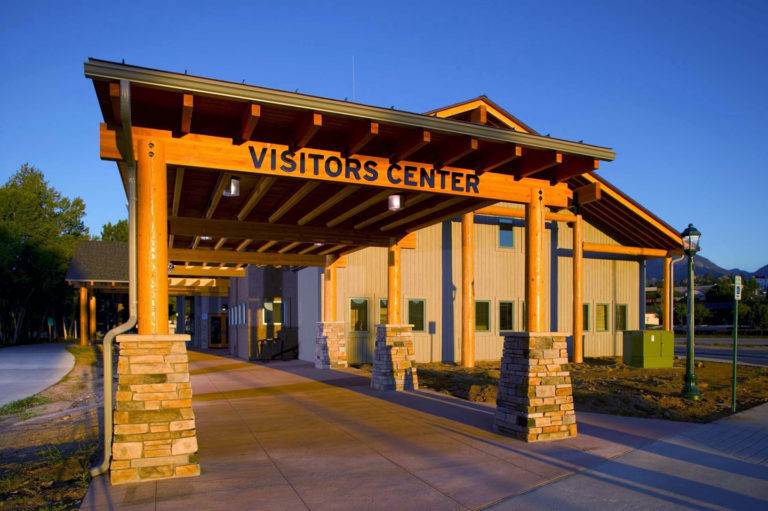 The site incorporates over two hundred new parking spaces, plus passenger drop-off zones and a loop for Rocky Mountain National Park shuttle buses. Making an impactful first impression about the town was vital to us. 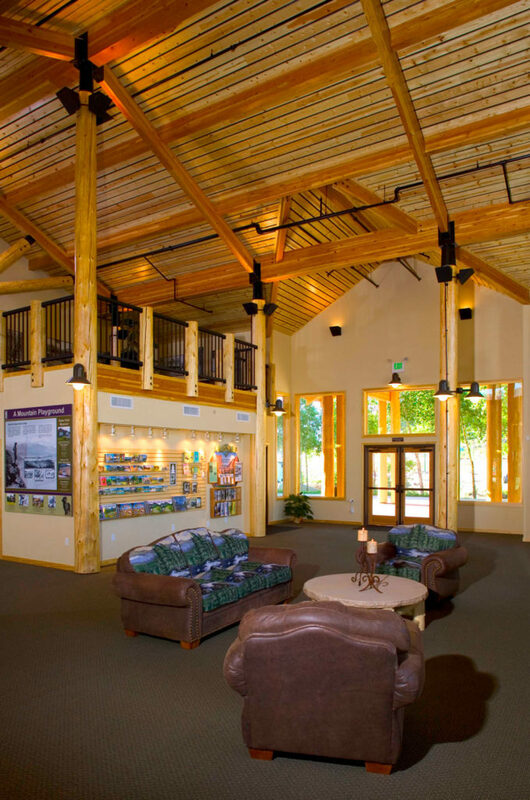 A covered walkway facing the river directs visitors from the parking area to the Information center, inviting them to rest along the way under the large ‘covered porch’ style entry. 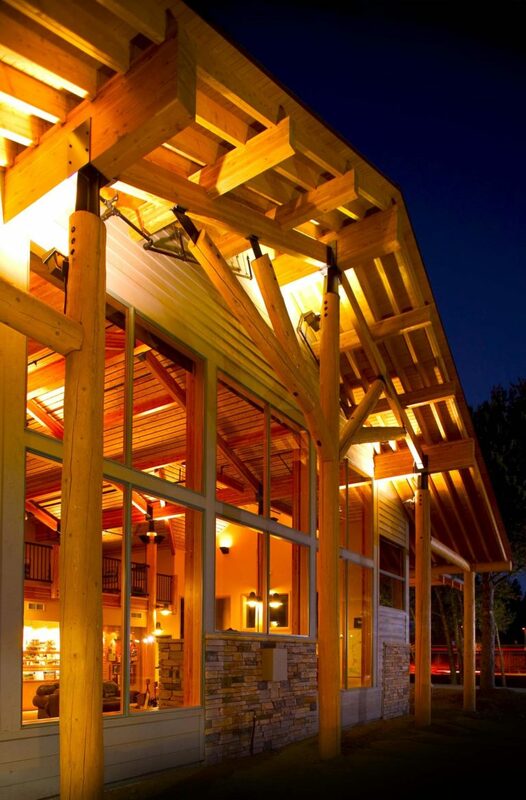 The architecture is a contemporary interpretation of the lodges found in many of the western national parks. Exposed structural logs and timbers continue from outside in allowing the observer to understand how the building was constructed. 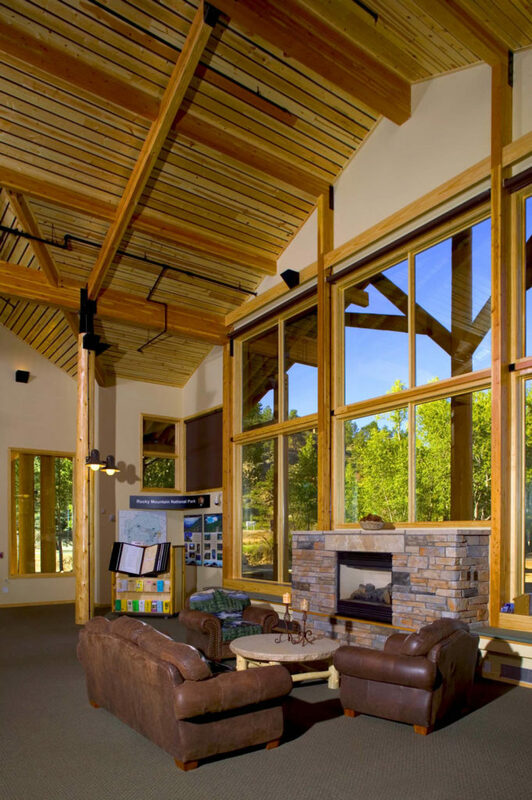 A large window wall to the west offers life-size views of the Town and mountains beyond.